This is so timely… Don’t think for a minute its just a coincidence, it’s corrupt! Gov. 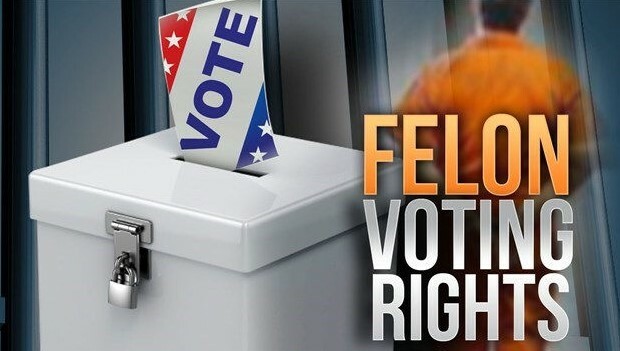 Terry McAuliffe (D) will make all ex-felons in Virginia eligible to vote in the upcoming presidential election, part of a years-long effort to restore full voting rights to former convicts. McAuliffe’s announcement in Richmond on Friday will allow an estimated 180,000 to 210,000 former felons who are not in prison or on probation or parole to register to vote this year in Virginia, a battleground state, according to a coalition of civil rights groups that had pushed for the restoration of voting rights. Advocates said McAuliffe’s move was the biggest-ever single action taken to restore voting rights in this country.